RVA Relays: The Most Hype XC Meet of The Year! After just three years, the RVA Relays is quickly becoming one of the most hyped meets of the entire XC Season. This year's installment is not only going to be the biggest and best one yet but it will also feature a glow run race now under the lights! SIGN UP YOUR TEAM HERE! 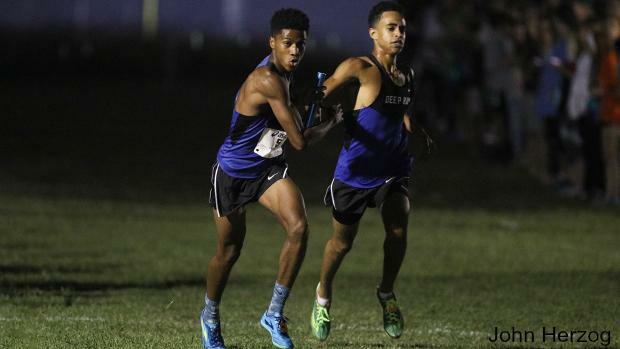 The 2018 installment of this nighttime meet will feature some of the best squads in the entire state including teams favored to win the VHSL state team title this November. The best part though is definitely the final two "A" relay races being run under the lights in the cool weather at Pole Green Park. With thousands of string lights, over 10 banks of light stands, and hundreds of glowing fans this is without a doubt the best meet in the entire state for September. It allows for some quick speed work in a fun team building race inside of a competitive environment. Plus, those guys and girls who are more milers than 5K runners will thank you for coming to this meet. To learn more about the 2.5K course, the meet records, or to see how last year's meet ended up check out the meet page right here.